Masonry works is the core work in the development of building structure and its related things. All over the world where the huge project related to Building Construction, Motor Ways, High Ways, and those sort of development,every where the masons are required to complete the job. In this respect, 3D EDUCATORS offered the Certified Masonry Course In Karachi or Certified Masonry Course In Pakistan for Individuals and Organization. 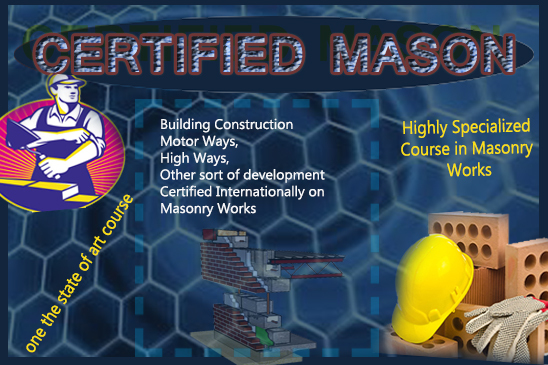 Certified Mason is one the state of art course highly specialized course in Masonry works.The course comprises and designed on the basic to advance level of tools and its techniques. Today Masons are required in professional market who talks about the latest tools and techniques. After this training the candidate become skilled, He or She shall be certified internationally on Masonry Works. The participants can also do this course Online Live with Instructor Led Interactive Training from their homes or offices. The Participants can join from anywhere from the world and get this International Certification to enhance their career in their respective fields. The Trainers are highly qualified and earned with respectable degrees like Masters and certified as well. 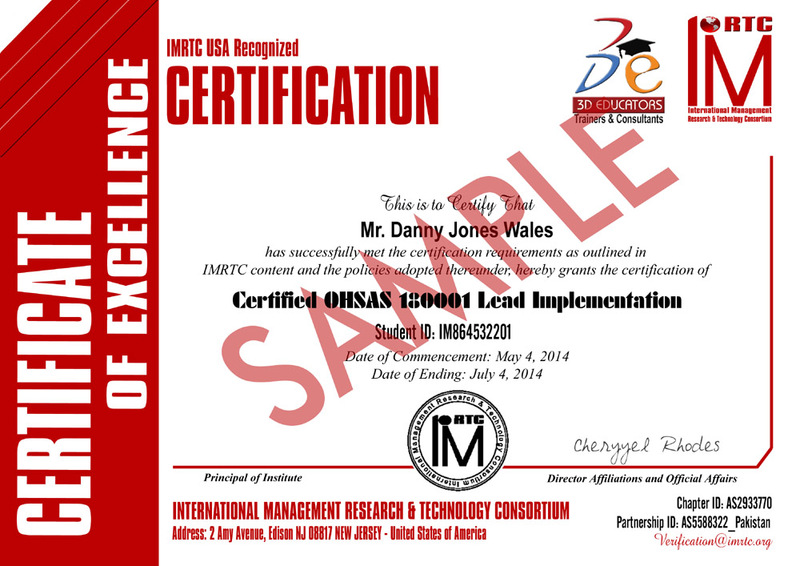 Further they also have the International certifications from accredited Bodies. The trainers are well equipped and well versed in their professional knowledge sets and have more than 10+ years of Experience in the field of Masonry. Further they also have provided their services in different versatile national companies where some of the trainers also have good experience of Abroad. Our trainers had conducted so many training programs and workshops since they are adjunct with 3D EDUCATORS and trained numbers of candidates in this discipline. "The Candidate Should be Middle Pass and working in any the field of Masonry Works at any office. It is recommended that professionals can join this training who are already working at any office and have some knowledge of Masonry Instruments. If the candidate is new or fresh, then he or she may also join this Masonry Works." o Those who are running their own businesses and like to develop their people as self motivated and organized personnel. o The people who are involved in the Masonry Works and like to use and develop their skills as Technician and want to become certified Mason. This program is professional cadre program. The most important aspect of this Certification is to have complete set of knowledge at any domain of the organization. This training will equipped the participants with the latest techniques of Masonry Works. Group Based Learning techniques would be used to facilitate the participants with Live Projects. The Certification shall be awarded from 3D Educators. The program is totally practical based and participant will be more equipped and trained in respect of Masonry technology. Therefore, the option and opportunities are opened in the world and you can excel in your career after this training program. As mentioned above the certifications are most important part now in the professional world. Especially in the field of IT, you cannot survive, if you don't have got the International Credentials with you. All big organizations Offer the different Certifications that accredited you in the professional world. This is further clarify that Masonry Certification Shall be finally given by the International Body from USA IMRTC - International Management Research and Technology Consortium. The Certification Holds the unique identity of the candidate, which can be verified through their official website http://www.imrtc.org.